DAY 1 TUESDAY 18TH SEPTEMBER 2012. The flight from Bangkok to Istanbul was via Zurich, Switzerland. We arrived Zurich around 6-00 am and had two hours to wait before another Swissair flight and fortunately, this time, the aircraft had more leg room. Ferruh, our Turkish friend of 39 years, was at the airport to meet us. 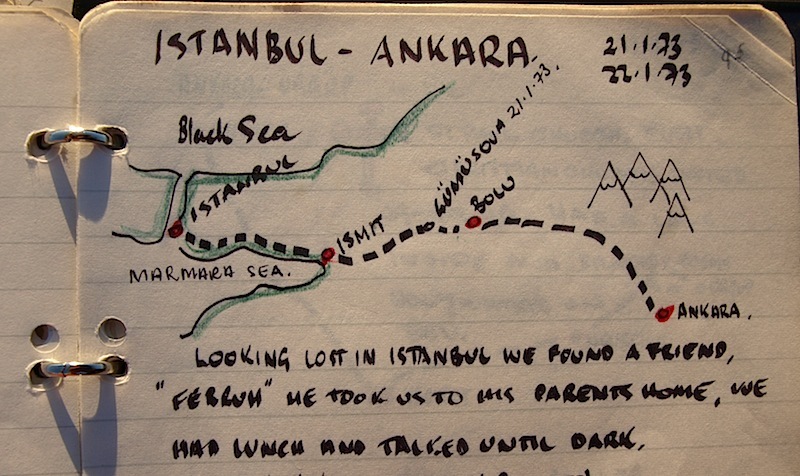 We met Ferruh on the 21st January 1973, (see extract from original 1973 diary) when Bev and I were looking lost in the Sisli area of Istanbul where he lived and he helped us with directions. He then invited us to his parents’ home for lunch. The meal was a real treat, a baked dinner followed by chocolate and real coffee. 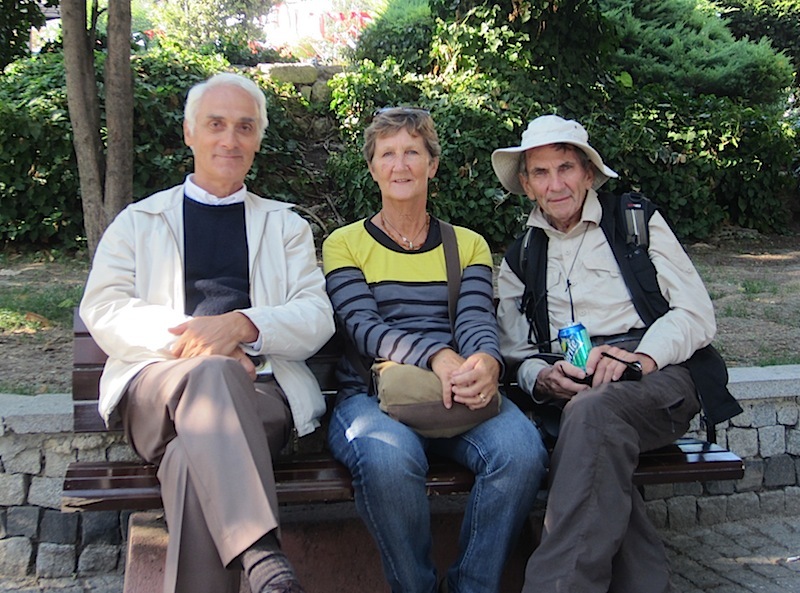 Bev and I had been on the road for two months up until then and to meet someone as hospitable, informed and articulate was something we have never forgotten. In the following years we kept in contact and visited him on two occasions, in 1988 when showing our boys the world and again in early 2006. Part of a page from my original diary. We share many common interests including history and world politics. Ferruh is intensely proud of his heritage and has sound views with regards the way Turkey should move in its quest for modernity. One thing we do not have in common is our attitude to how I should behave in retirement. He says I should be taking it easy and be leading a less active life. I appreciate his concern but I’m not quite ready yet to put my feet up. When I’m doing something outlandish, for example, like the night Tim and I slept in the tinnie off the coast of Arnhem Land or up on the roof rack of our car taking photos when crossing a river, Bev takes a photo and emails it to him. When staying this time I asked Ferruh if it was possible to go up on the roof of his apartment to take a photograph. His reply was ‘definitely not!’ A few days later he asked me if I had really wanted to go up on the roof. He had obviously been mulling it over and couldn’t understand why I would want to get up there. He says I’m indomitable. The corner where we met Ferruh 39 years ago. This photograph was taken through a dirty bus window during this trip. I like it because it appears as if we are looking through a nostalgic haze. The three of us 39 years on. The apartment where we lunched 39 years ago and where Ferruh still lives. The café on the corner dishes up the best baked rice pudding. The view from Ferruh’s apartment. 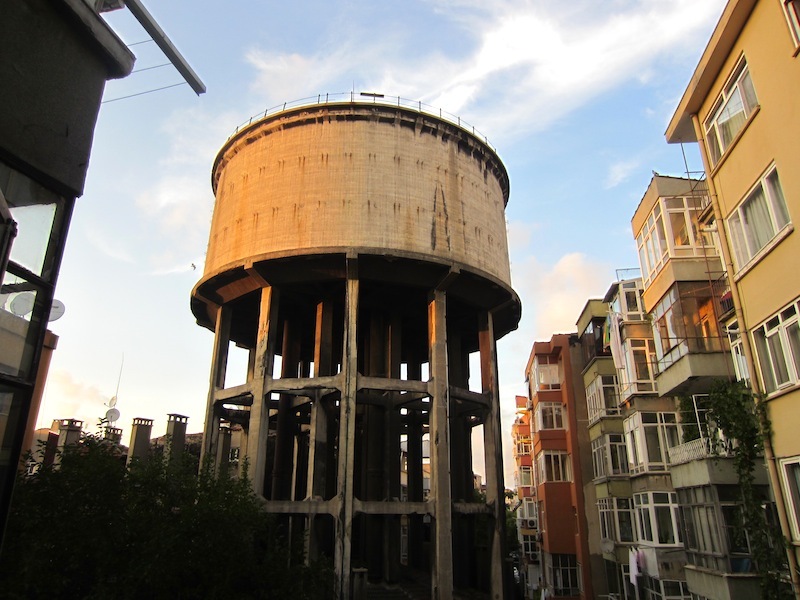 During the 1999 earthquake water sloshed from side to side in the tank because there are no baffles inside which meant there was a danger it would collapse. It has now been taken out of service. Istanbul has had more than it’s share of earthquakes and they are a result of the earth’s tectonic plates colliding with each other. Map showing tectonic plates in the vicinity of Istanbul. To understand tectonic plate theory imagine the earth to be an orange with a series of jigsaw patterns drawn on it. The jigsaw outlines (plates) are not static, they are floating and moving constantly and where the plates contact each other they push, grind and ride up and under each other and it’s at these points of contact that earthquakes occur. 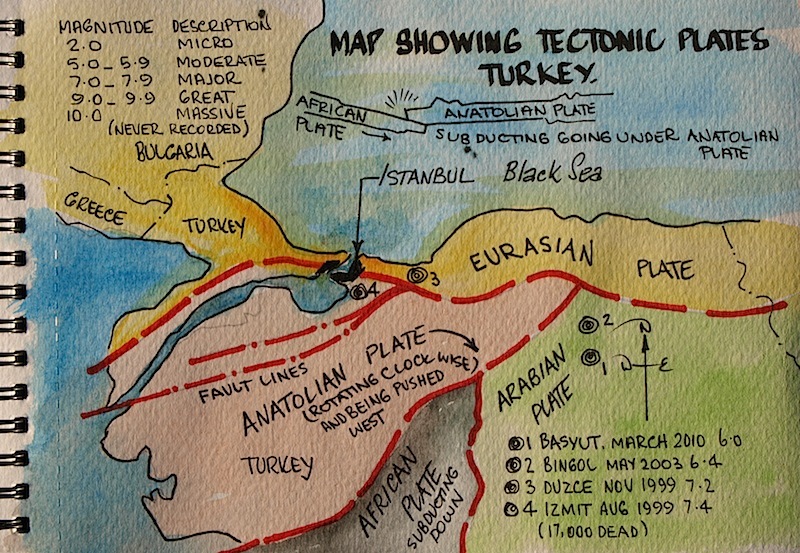 The drawing above shows the tectonic plates in the vicinity of Istanbul and you can see the city sits very close to the intersection of four plates…the Eurasian (yellow), Anatolian (pink), African (grey) and the Arabian plate (green). These four plates are grinding into each other and resultant forces are rotating and pushing the Anatolian plate, on which Istanbul sits, west. The forces are tremendous and when the forces build to breaking point major shifts occur and the earth begins to rock and roll. 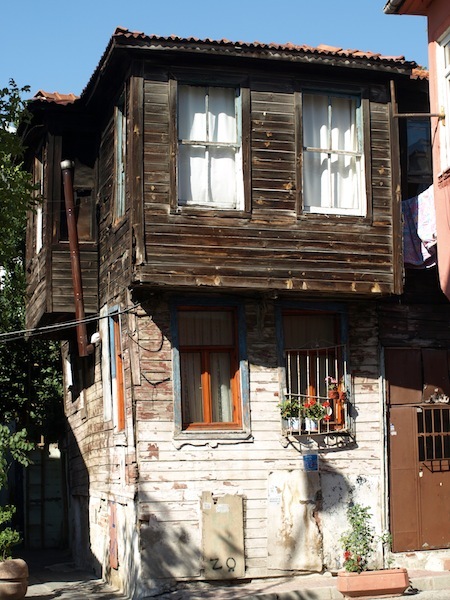 In 1999 a devastating earthquake hit Istanbul. Over 17 000 people were killed and 500 000 made homeless. 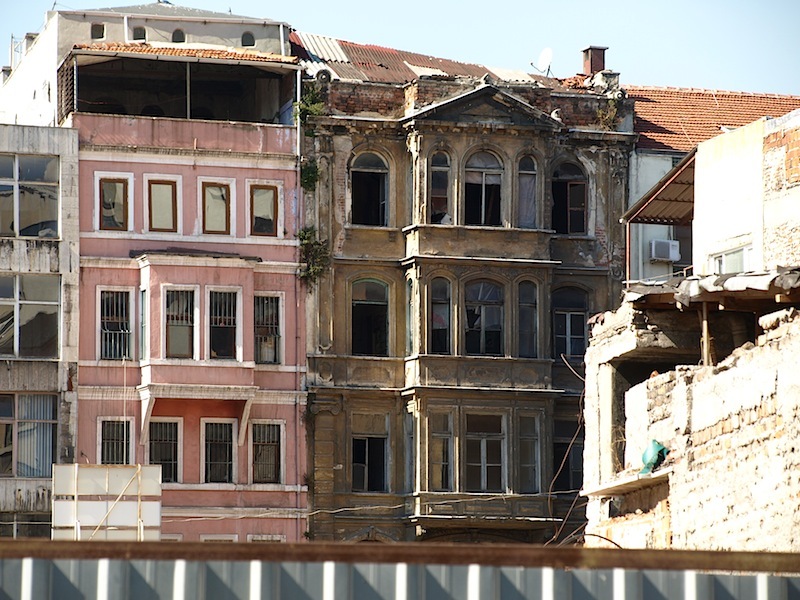 There is no way of predicting when a quake is going to hit but the experts agree Istanbul is due for another one between 2010 and 2015. This means we are now smack in the middle of the predicted times. The most important thing is to be prepared. Always have water at hand because if the roof or floors above you come down you might be trapped for days before rescue. The experts say that 90% of people killed are the ones who run outside whilst the rumbling is happening and are hit by falling objects. It’s best to go into the smallest room or get under a solid table or bed. Some beds are built of steel so there is an air space created underneath. Once the quake has eased you go to an open area outside, if you are not trapped under a hundred tonnes of concrete. 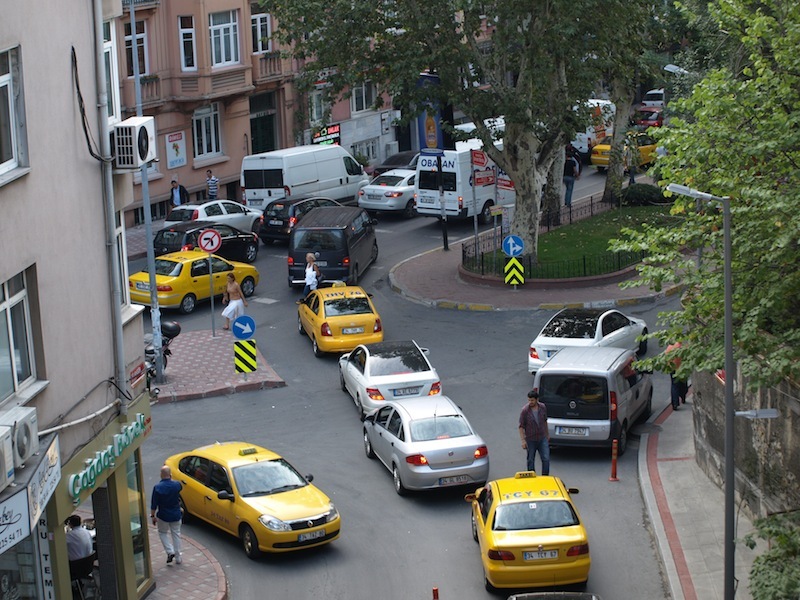 There are a couple of reasons Istanbul suffers high fatalities. One is that many of the buildings are not built to earthquake standards and the second is that there is not a lot of open space in the city for people to escape falling debris. Also it stands to reason that in a city with a population of 15 million there is going to be enormous loss of life. Bev and I will be happy if we can get through the next week without being rumbled. A more substantial building but not necessarily quake-proof. 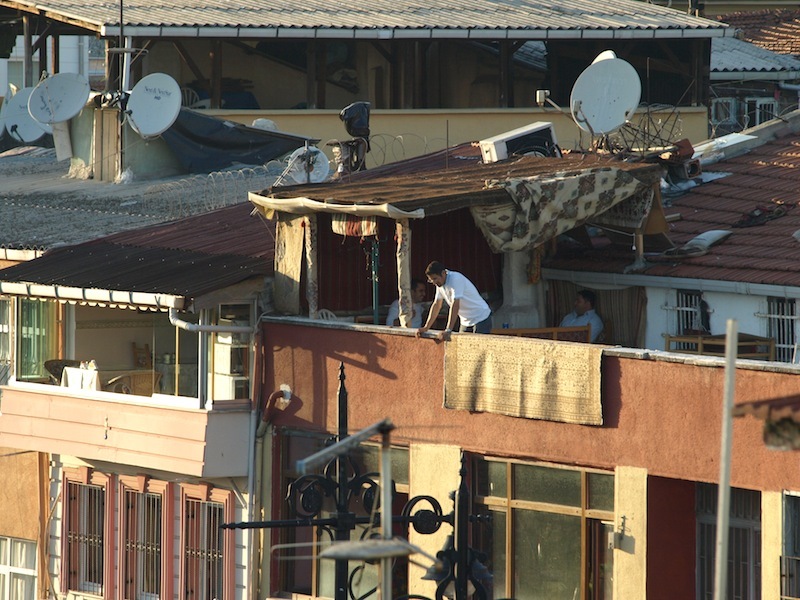 Rooftop living is common in Istanbul. There are a lot of bits and pieces here ready to fall. Quaint wooden building but what a fire hazard! The two previous wooden houses are probably safer than a stone or brick building in an earthquake but what a fire hazard. When Bev and I move into a room the first thing we do is plan an escape route in the event of fire. I have been known to carry a length of rope that can be used for things other than scaling down a wall. Once when in Penang Malaysia we had a room below ground level with no windows. It was stifling hot and there was no air conditioning, only an overhead fan, so I strung my rope horizontally across the room under the fan and hung wet towels on it. Air passing across the wet towels provided us with cool air. There are quite a number of new buildings using timber cladding. 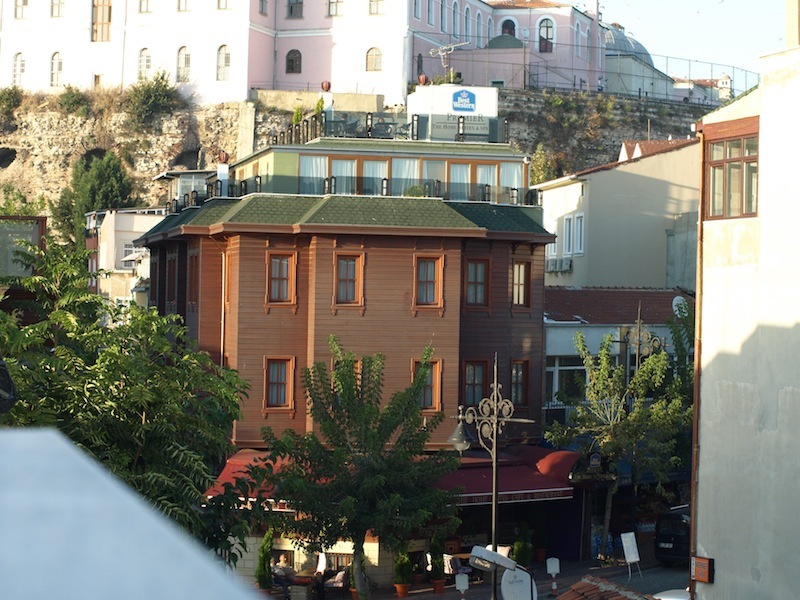 In the Old City many buildings are being converted to hotels to cater for the growing thousands of tourists who visit Istanbul. The above building is a Best Western hotel. 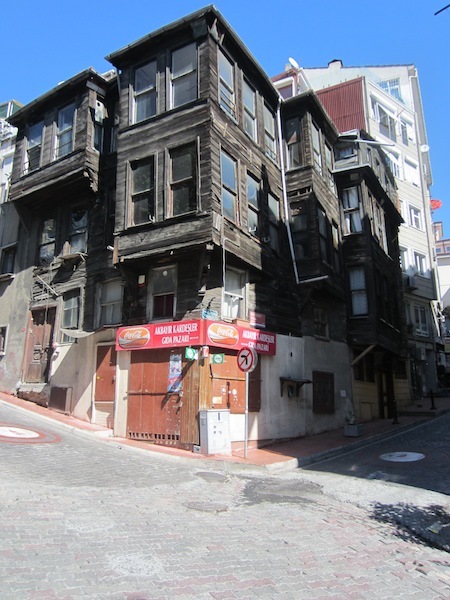 All through Asia, including Istanbul, there is a building frenzy. 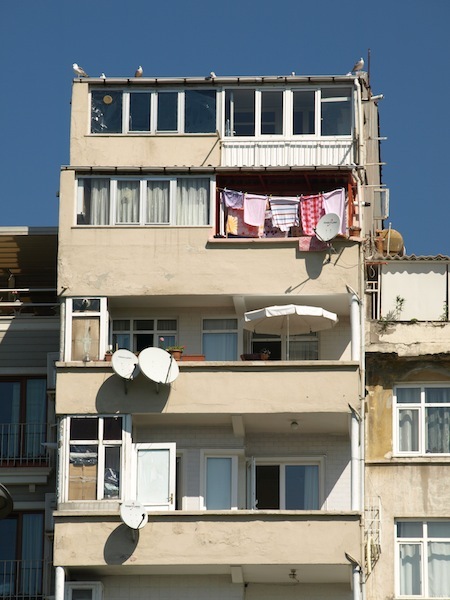 I would like to think the new buildings in Istanbul are earthquake proof. This afternoon we went food shopping and when walking to the market we commented on the changes since our last visit in 2006. The changes are more cars, more taxis, more cafes and more shops selling designer gear. Taxis and buses have been upgraded and you could now be in any modern city of Europe as far as transport is concerned. Also we are told you can drink the water from the tap whereas on previous visits you only drank boiled or water from sealed bottles. We are not drinking tap water even though we are assured it is safe. Old habits die hard. 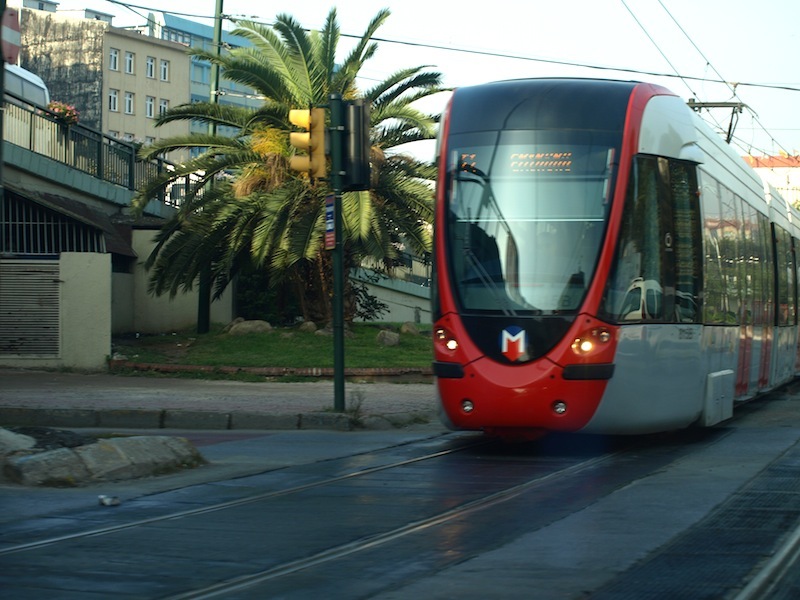 In many ways our transport system in Sydney is eons behind of that in Turkey. An example is the time indicator at pedestrian crossings. 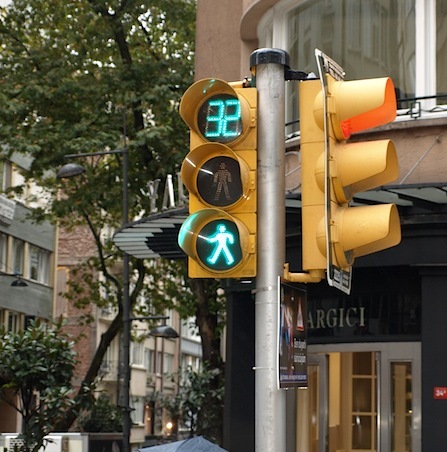 There is also a similar setup on traffic lights so drivers know how many seconds they have between the red and green light and how long before the green light goes red. 32 seconds before the Walk light changes to Don’t Walk. This afternoon we felt like sleeping as we are suffering mild jet lag. We put off the urge, wanting to get with Istanbul time as soon as possible. However, by 8.00pm bed beckoned and we could stay up no longer. Started writing at 4-00am and continued doing so until just before six when the local mosque loud speakers began calling the faithful to early morning prayer. There is no other sound like the Islamic call to prayer. It has a certain mystique and I often think about the first time I heard it in Pakistan when driving overland to London in 1970. Turkey is in transition. There are interests wanting to take the country to Islamic ways and others want to follow the western path. The way it goes is in the lap of the gods, but somehow I feel that those who have had a taste of western ways will guide it in that direction. The fresh young faces of Istanbul. 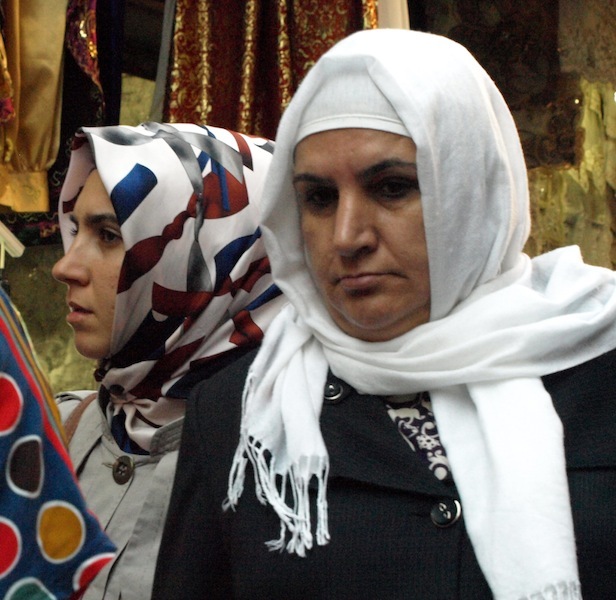 However the old ways are evident especially in the area known as Old Istanbul around the Grand Bazaar, Topkapi and the Blue Mosque and it is obvious by the fact that a lot of women are clothed in the burqa or headscarf. It is impossible to know if the women clothed in the burqa are young or old. There is not one veil, there are many. In Saudi Arabia, the most rigid Muslim State, women don a black head-to-toe niqab with a thin slit for the eyes; in Afghanistan a burqa, a head-to-toe veil, with a mesh for the eyes; in Indonesia, the hijab, a scarf that covers the hair, neck and ears but leaves the face visible; in Iran the chardor, a full length semi-circle of fabric, thrown over the head and held tightly against the chin. In Saudi Arabia and Iran it is enforced by law; in other countries such as Pakistan and Afghanistan, by social pressure. There is not one word in the Koran that expressly demands that women cover their face, although there are references to modest dress for men and women. In 2009 the French government outlawed the wearing of the burqa in public and so not to upset local Muslims and having them scream victimisation, they outlawed the wearing of all religious iconography such as Christian crosses and the Star of David. Other European countries are bound to follow. In my opinion, and I stand to be corrected, the wearing of veils or scarves in a pluralist society is a statement of faith. Bev thinks it must be stifling hot under a burqa and she also pointed out that women who wear the burqa must have a vitamin D deficiency. This photograph was taken only metres away from the photograph of the lady in the niqab (previous image). 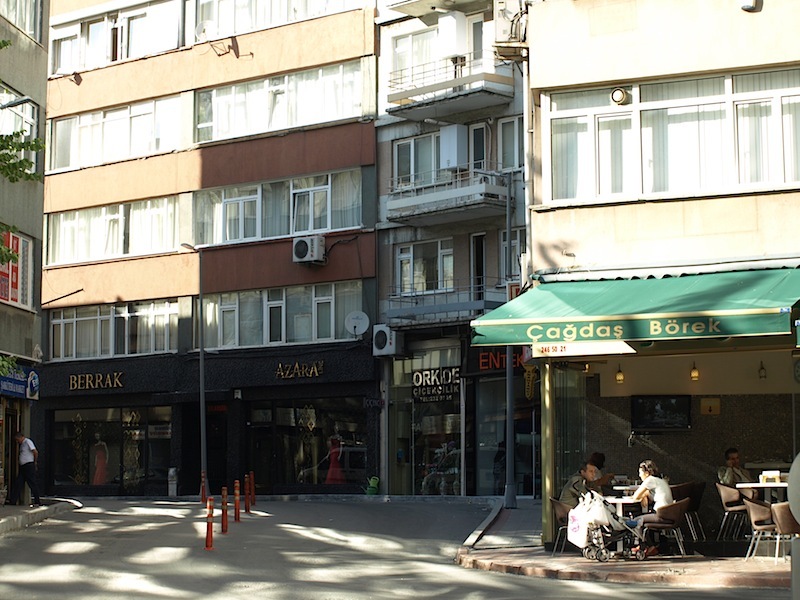 I included this image to show how tolerant Turkish society is. Lets hope it remains as tolerant as this in the future. 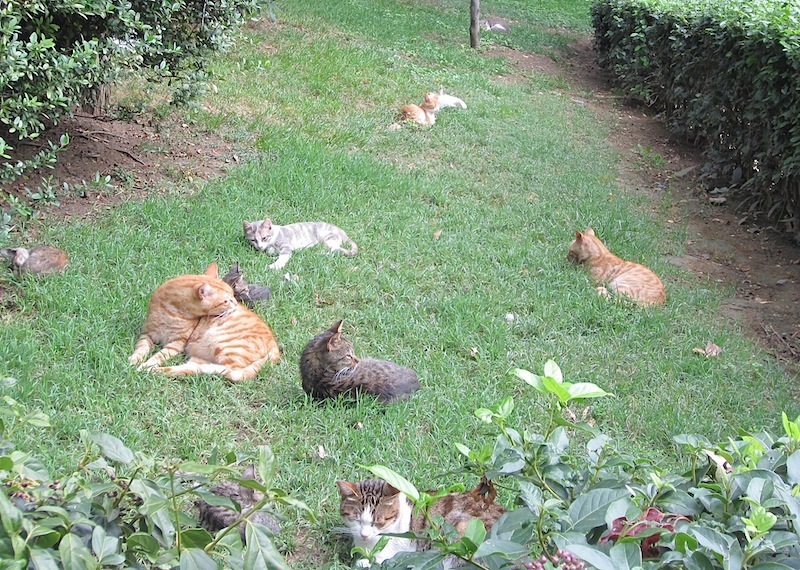 In one of the parks we walked through today in the suburb of Sisli there were cats everywhere, not wild but obviously cared for. 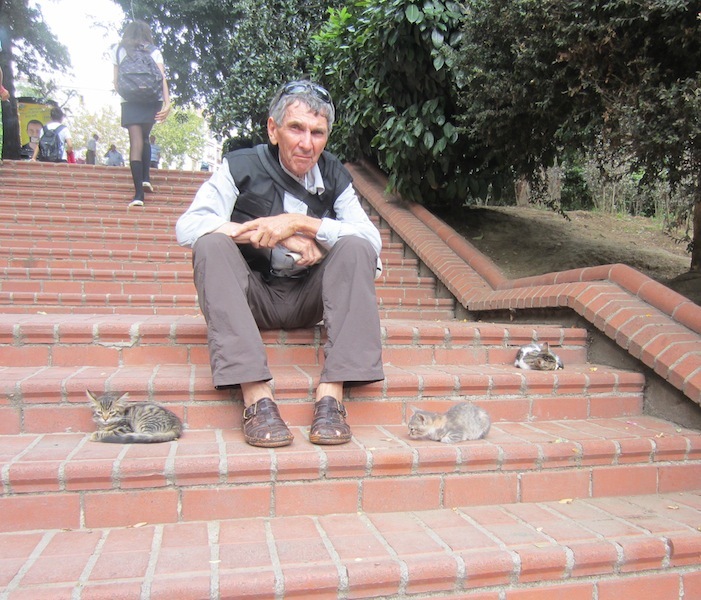 Some people in Turkey believe that if you care for animals, including cats, there is a better chance of passing into the afterlife. Continuing on we passed through another park nearby where there were wild dogs and, as would be expected, there were few cats. If by some event humans were eliminated from the planet but animals remained I think it would be dogs that would reign because they are big enough to bring a large animal down and they hunt in packs so they would survive. 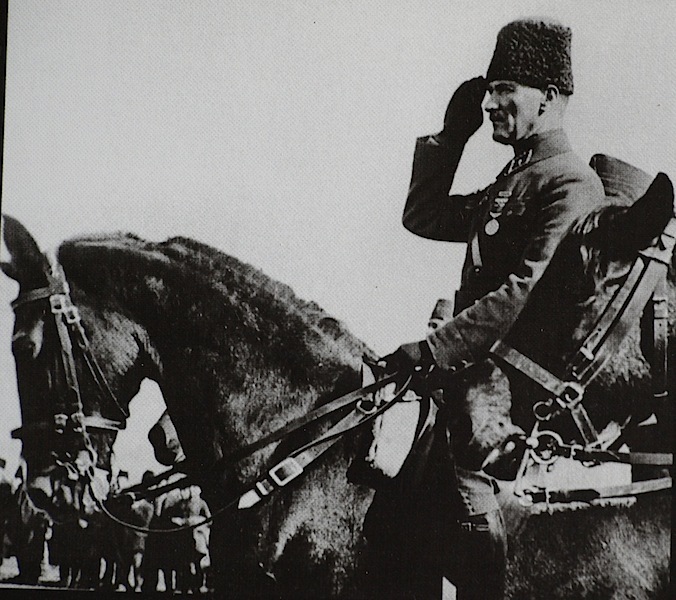 M. Kemal Ataturk taking a salute. 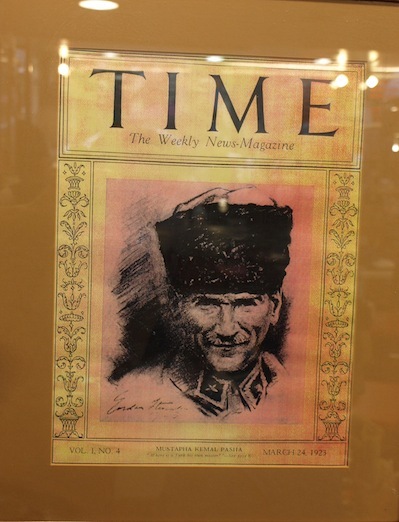 Ataturk was the commander of Turkish forces that fought against the Anzacs during the first World War. Front page of Time magazine 1928. 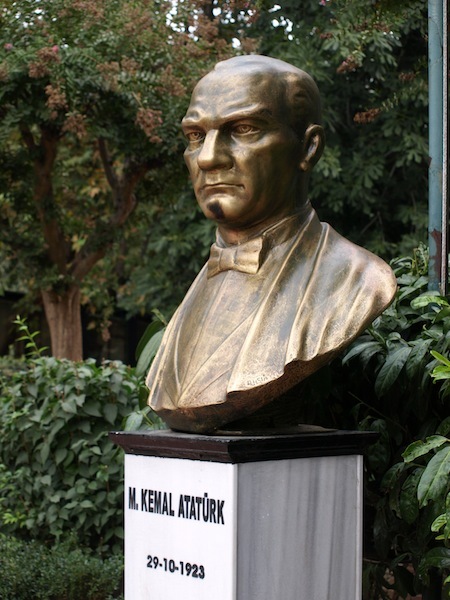 From my observations, most modern thinking people in Turkey revere Kemal Ataturk. His image appears not only in public places but in most cafés and shops and I don’t think it is because the owners are forced to, as is the case in some totalitarian states. 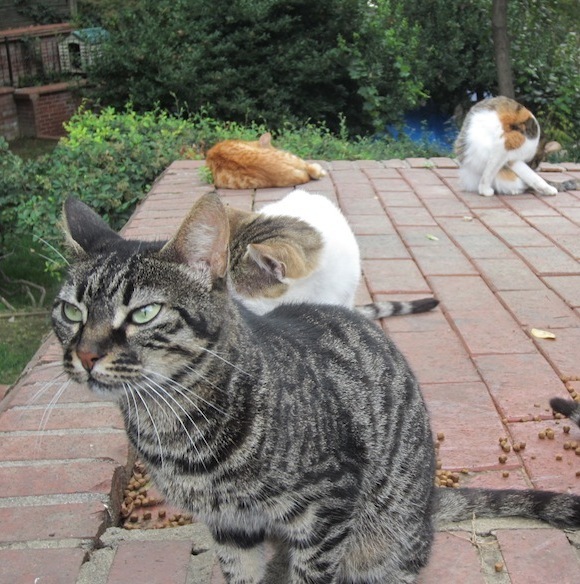 Cats on one of the feeding platforms. 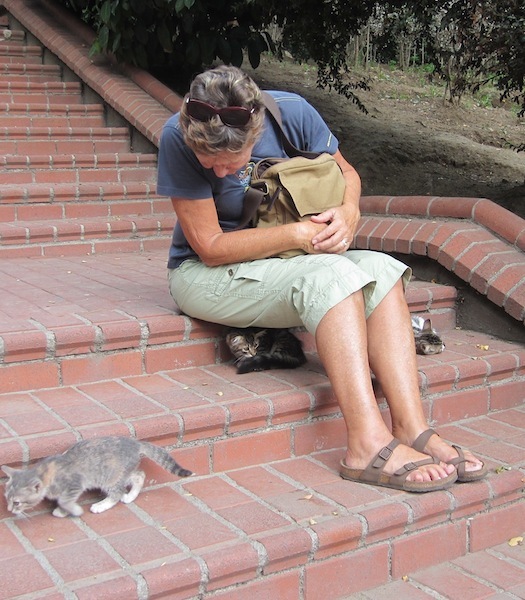 Bev and I took a rest and the cats joined us. After Bev sat down this kitten came and nestled under her. Lunch today near the park. Tomato, polenta, lentils, rissoles, green chilli and beer, of course. 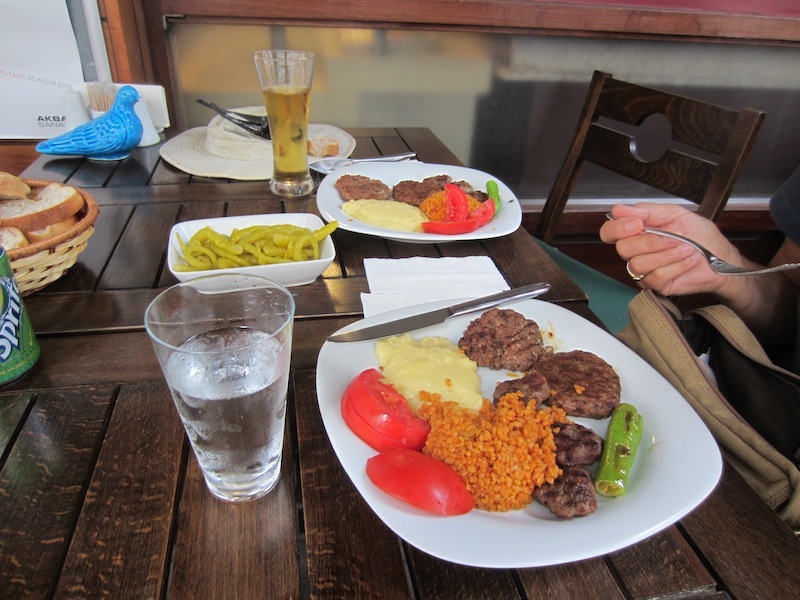 Tomatoes in Turkey are sweet and luscious. How come in such an advanced country like Australia supermarket tomatoes have no flavour and are almost inedible? 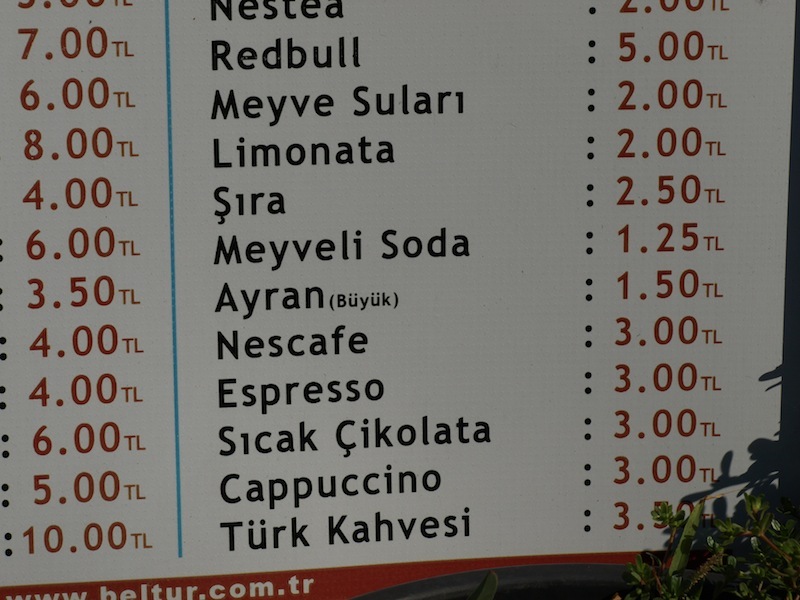 One Australian dollar equals 1.8 Turkish lira so a Cappuccino is roughly $1-60 and a bottle of Limonata (lemonade) around $1-10. 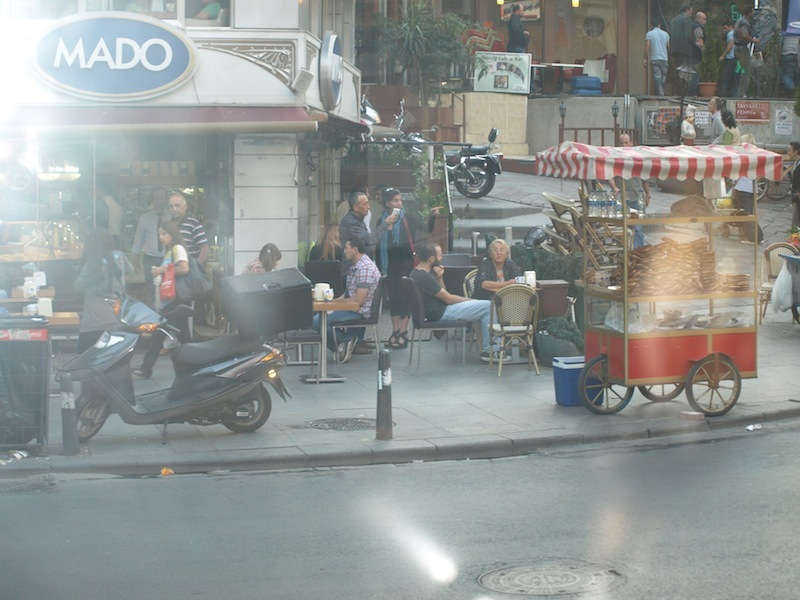 Everything, except imported goods such as cameras, is relatively inexpensive in Turkey. Twenty million foreign tourists come here each year because it’s cheap. In order of numbers from each country they come from Germany, Russia, UK and USA. 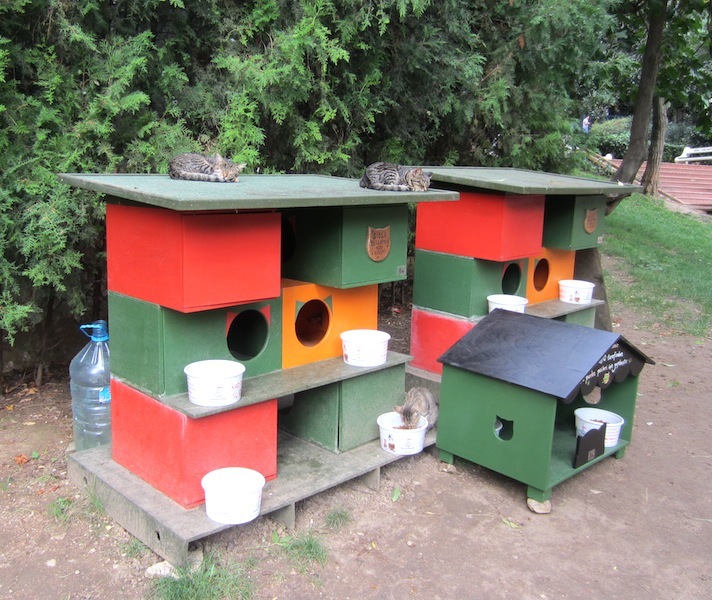 Love the cat apartment, would like a chook version in my yard! In terms of ladies and vitamin d I think it would be interesting to see the stats. As far as I know ladies only have to wear the covers outside or when people not in there family are present. Do the family homes have court yards or roofs with privacy that women can access?